I’ve always enjoyed a good paneer (cheese curds). 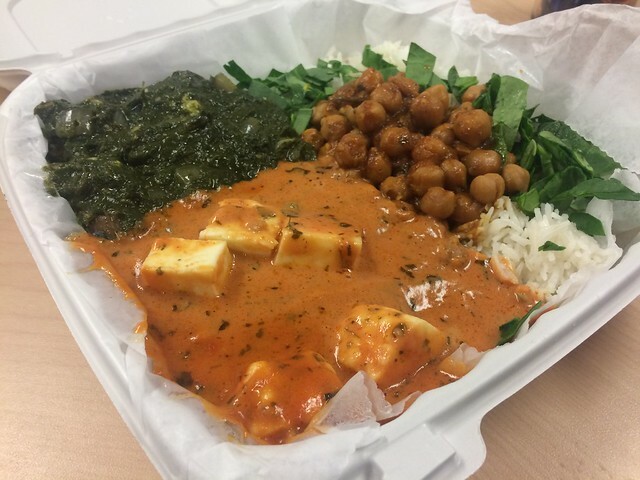 I was most familiar with Palak Paneer, the one with spinach, but it wasn’t until I visited India for the first time in 2016 that my interest was reinvigorated! The hotel I stayed at in Chennai offered a daily lunch buffet and one day presented at least six types of paneer. I don’t even remember the names, but I ate them all. I have no regrets. Indigo is one of my current go-to places for lunch (it’s only a block away from my office), so I thought I’d get cracking on trying the paneers they offer. And the Shahi paneer is not to be missed, with the rich tomato cream gravy! I’ve tried them all now, that is the winner.